Heart of Midtown four plex, next to ''Marco T's'' restaurant. High-visibility with Fireweed frontage, Value in B-3 zoning. 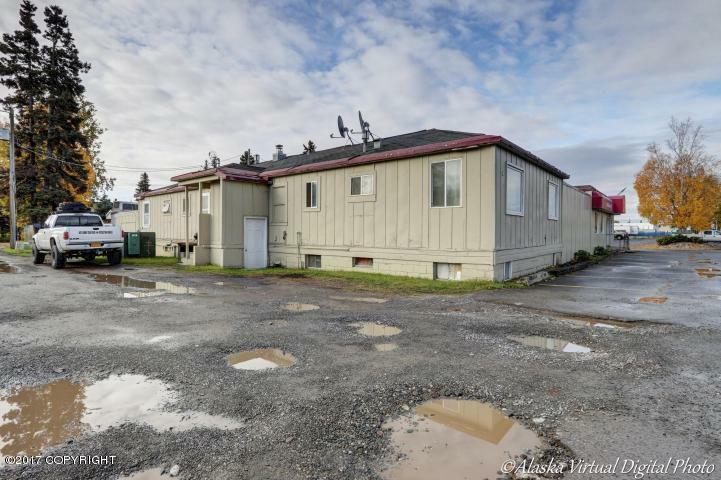 All 2 bedroom units, $4,000 gross rents, current owner (also owns Marco T's property, MLS#17-16985) pays all utilities. Some long term tenants, units upgraded over the years. Enjoy the income until ready to develop commercial.